In honor of the 13th edition In The Dust, the first of the new year, one of doom and gloom in which the entire world will purportedly cease to be, it is only fitting that we begin said year with something different, something strange, something spooky. 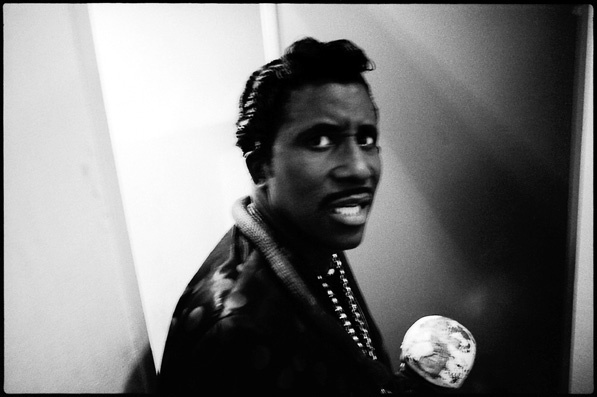 To that aim, we can do no better than to look at the originator of shock rock, a true iconoclast with a magnificent career that has all too often been written off as novelty, the mystifying and freakish Screamin’ Jay Hawkins, whose unusual upbringing would produce an unusual adult and, most importantly, an unusual talent. Born Jalacy Hawkins in Cleveland, Ohio in 1929, Jay was 18 months old and cared for by an orphanage when a Native American family of the Blackfoot Tribe adopted him. He managed to teach himself piano sometime during his toddlerhood and could read sheet music by the age of six. By fourteen he could play the saxophone as well. A prodigious talent in many respects, Hawkins was also an avid boxer and won a Golden Gloves Championship in 1943. Despite his skill at an apparent wealth of interests, his singular ambition lay in opera. Hawkins idolized singer Paul Robeson and wished to sing just like him. In 1943, concurrent with his Golden Gloves title, he enrolled in the Ohio Conservatory of Music to study opera. Shortly into his tenure there Hawkins dropped out to join the war effort. He served primarily as an entertainer, falling back on his early musical roots, performing his own brand of blues-tinged popular songs and standards for weary soldiers, but Hawkins also told an apocryphal tale of his days as a paratrooper, a fact that is widely disputed, and of being captured and held as a prisoner of war, a claim that is largely unsubstantiated. According to Hawkins, upon his liberation from the prison camp, he decimated one of his captors by taping a hand-grenade into his mouth and pulling the pin. Once he was allegedly freed, Hawkins continued to box and won the Middleweight Championship of Alaska. This would prove to be one of Hawkins’s last forays into the sport as a professional, amateur or otherwise. After Hawkins’s discharge from the military in 1952, he would return to his musical career, this time without conventionally operatic ambitions, teaching himself how to play guitar and signing on as a vocalist and piano player in Tiny Grimes’s band, best known for his guitar work as a member of the Art Tatum Trio and on several sessions with Charlie Parker. Hawkins went on to perform with a time for Fats Domino, but was dismissed when he attempted to perform in a leopard skin suit. Screamin’ Jay, leopard-clad and often donning wild hats and large red leather boots in conjunction, was fed up with the personal and stylistic demands of the refined jazz-oriented band leaders in whose employ he’d become accustomed. He signed with Okeh Records as a solo artist in 1955, and set about recording his first hit, “I Put A Spell On You”. Originally envisioned as a refined ballad, some claim “I Put A Spell On You” was released as such, but there are varying accounts as to the authenticity of this claim. Regardless, if it was released it sold very, very poorly. The evening Hawkins was scheduled to record the Okeh/Epic version, possibly the first, possibly the second, the engineer brought in ribs, whiskey and beer to enjoy prior. Not surprisingly, everyone got completely and totally wasted. They set about recording the song anyways. What resulted was a weird, guttural, booming, operatic and utterly insane take filled with odd sound effects, banter, ad-lib, and a heavy, loose band of blasting horns and skittering drums. The next day, when Hawkins and the band listened to the take, Hawkins admitted that he didn’t even remember recording it, but it worked, and he was forced to relearn the entire song according to his blacked out masterpiece. Now there are countless re-recordings of this song, as it was Hawkins most popular and lucrative. The original article is the heavy, horn-laden and literally bone-jangling bellow-out. The song, however, much like the rumored first recording, did not sell. Some found the sounds of rattling bones “offensive”, cited references to voodoo and pagan ritual, and a pervasive, overt sexuality. They were removed, the song was tamed and a cleaner version was rereleased. It caught the ear of famous “payola” DJ Alan Freed. Freed curated a “Rock and Roll Review,” and, inspired by Hawkins’s performance of “I Put A Spell On You”, encouraged him to perform, but Freed did not stop there. He urged Hawkins to adapt his stage show to the odd, eclectic world his recording, offering to pay him $300 to emerge onstage from a coffin, an offer which Hawkins accepted, inspiring him to create the outlandish stage persona for which he is still famous today, one featuring gold and leopard skin outfits of curious cut, rubber snakes, the soon-ubiquitous coffin and a skull on a stick adorned with rattling bones, which he affectionately dubbed “Henry”. He appeared occasionally with a bone through his nose, carried a spear and maybe a shield, dancing and chanting in a primitive way that attracted the close attention of the NAACP, who claimed that Hawkins was creating an irresponsible and false association of the black race with cannibalism. Even the National Coffin Association (which apparently exists) objected to Hawkins’s theatrics claimed he was poking fun at the dead. In the face of such controversy, Hawkins’s stage show remained unchanged and, with his bellowing, classically trained bass voice, went on to reinvent the sound of 50s rock and roll, recording many more great songs for Okeh/Epic including the half doo-wop, half-stomp romp “Orange Colored Sky”, the scatty, horn-laden waltz “Hong Kong”, the bluesy, brash and simply great “Alligator Wine” and, later, for other labels, the downright gross “Constipation Blues”, and the infectious “Feast of the Mau Mau”. Hawkins later claimed that the shamanic intensity of his performances and his entrance from a coffin gave him chills, which led to substance abuse and alcohol dependency, a hurdle that Hawkins eventually conquered. After numerous tours all over the world, some of which involved playing for troops just as he did at the start of his career, he retired to Hawaii where he lived until his death in 2000. Hawkins died of a failed surgery to treat an aneurysm. He was 70 years old. His legacy lives on long after his death. None of Hawkins other songs ever surpassed the success of “I Put A Spell On You”, a song that has been covered innumerable times by artists the likes of Creedence Clearwater Revival and on. His act inspired KISS, Alice Cooper, Danzig, Gwar, Black Sabbath, The Cramps, Marilyn Manson and Tom Waits. The dense, operatic performance Hawkins delivered on the original version of “I Put A Spell On You” inspired The Rock and Roll Hall of Fame to select it as one of The 500 Songs That Shaped Rock And Roll. The legacy of Hawkins personal life is, perhaps, also immortal. At the time of his death, he was said to have fathered over 55 illegitimate children. That number has now risen past 75. 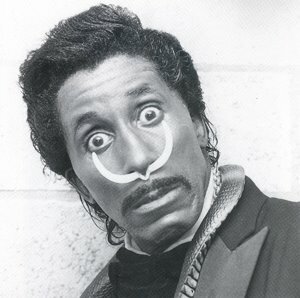 At one point, there was a foundation with the sole purpose of discovering and aiding all of Jay Hawkins’s offspring. That foundation has since, apparently, ceased to exist. As with many great, perished artists, his work has been incessantly butchered out of its original form. Thus, it is nearly impossible to find a full, unadulterated Screamin’ Jay Hawkins release without buying an original LP, or a still reordered and chopped European import CD. It seems the closest and most faithful U.S. release to Hawkins’s original Okeh/Epic years is a collection appropriately titled, Cow Fingers and Mosquito Pie. Screamin’ Jay Hawkins was an idiosyncratic wonder of prodigious talent, a singular phenomenon, an artist the likes of which we have never seen and, as the disparity between what one is and what has come before, in our time, has closed to an imperceptibly small distance, we will likely never see it again.